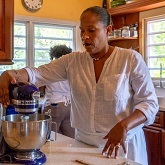 Cook in a chef's home (Nicole's Table) on this tasty Caribbean sailing with a pinch of local flavour. Read the article by Vincent Graff. With all the dishes that Nicole (Nicole's Table) is preparing for us today, there’s one little twist. For the third year in a row, Nicole's Table is proud to announce they have received the coveted award. 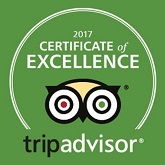 Nicole's Table earns TripAdvisor's coveted Certificate of Excellence a second year in a row! 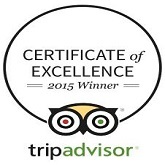 Nicole's Table earns coveted 2015 Certificate of Excellence award from TripAdvisor. 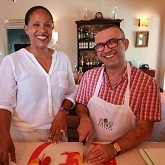 Click here to read about the owners of Nicole's Table.